Let’s Also Talk About Teachers At Risk of Gun Violence in Schools. Several years ago I had a student in a high school algebra class who exhibited hostile and irrational behavior. He was disruptive, rude, used profanity often, and was contemptuous towards the school and teachers. Probably every veteran teacher has taught this student sometime in her or his career. My classroom still has the scars from his presence—holes in the ceiling tiles and the wall where he had repeatedly stabbed with his pencil. I told my husband about my fears concerning this student, more than once. I let him know that if I were shot in my classroom, this student would be the prime suspect. I felt my face go white. This kid has access to guns in his home? I lost my focus as I questioned my career choice and contemplated the elevated sense of danger I would feel every day at work as long as this student was around. The meeting went on; the mother lamented the fact that she had no control over his behavior at home. The grandmother concurred. I barely heard any of it. What is one to do with a student like that? Be hard-nosed and strict in order to control his behavior, and risk infuriating him? Play nice as he continues to act out, in hopes that he’ll de-escalate or maybe won’t choose you if he comes to school with a gun someday? It came out in the meeting that the student and his mom had moved in with the grandmother, who lived in a neighboring town in a different school district. A few weeks later, the student’s parents were informed that he no longer qualified to attend our school, since he didn’t reside within district boundaries. We all heaved a sigh of relief. He was somebody else’s problem now. In the wake of the Parkland Florida school massacre, teacher lunch rooms are filled with somber conversations about risk, about weapons in the hands of students and others, about whether a school, a building, a classroom can be locked down in the event of an attack. We don’t feel safe. We love our students, but we did not enter our profession with thoughts that we might have to take a bullet for them. The focus in the media is on the students, as it should be. Teachers and other staff are generally mentioned in the context of some act of heroism they engaged in during the final moments of their lives. But the truth is, based on the patterns of recent mass murders in schools like Sandy Hook Elementary and Marjory Stoneman Douglas High School, a staff member is statistically more likely to be a victim of gun violence in a school than any given student. Columbine shocked the conscience of everyone in the country. Sandy Hook broke our hearts. Marjory Stoneman Douglas students aren’t having it; they don’t want pity, they want action. Opponents of restrictive gun laws argue that if only teachers had been armed (and if they operated in some sort of super-hero fantasy scenario), they could have prevented the whole thing. As usual, teachers are expected to do the impossible. 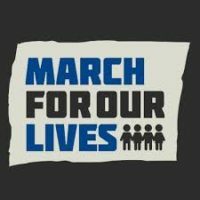 I applaud the student movement launched by the Marjory Stoneman Douglas High School students. I want a teacher movement too. And until this problem is solved (and it CAN be solved), I want federally funded combat death benefits for my family, should I lose my life in the call of duty.